How Do You Best Handle Challenges to Your Faith? At some point in our lives, all of us have faced new challenges to our faith. If you haven’t yet, just wait! Depending on our age and maturity, new challenges can be quite unnerving. I remember the first time I was confronted with the claim that Jesus was a mythological figure patterned after ancient near eastern “mystery religions.” Now I can see that this charge has little merit, but it was quite unsettling at the time. 1. Take a deep breath. Don’t freak out. Relax. Calm down. While some challenge may be new to you, chances are that someone else has already wrestled with it and provided a thoughtful response. 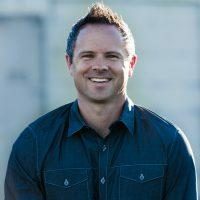 Malcolm Muggeridge used to say “All new news is old news happening to new people.” This is especially true in apologetics. Few objections are genuinely new. In fact, if you probe far enough, you will often realize that the “new” objection has already been dealt with by one of the great thinkers in the Christian tradition (i.e., Augustine, Aquinas, Edwards). So, relax. 2. Realize there is a good answer, if you’re willing to look. As a college student, I had a short period of really doubting my faith. Fortunately, I was able to meet with philosopher J.P. Moreland during his office hours at Biola University. When I asked him how to handle new challenges, he said, “I have been doing this a long time. Rarely do I hear a new challenge. When I do, I have the confidence to know that there’s an answer, if I’m willing to look.” Even though it didn’t ring true to my experience at the time, I trusted his insight. Now, almost two decades later, I can see that he was absolutely right. 3. Find the answer. We live in an age of information overload. You can find an answer if you really want to. There’s no good excuse for not finding truth, if it’s important to you. We do need trustworthy sources, of course. Even if you can’t afford books, there’s plenty of good information online. Just be sure it’s written by a reputable source and that it’s documented. In terms of apologetics websites, I suggest reasonablefaith.org, str.org, coldcasechristiainity.com, reasons.org, and comereason.org. Of course, you can find apologetics material at my own site as well: seanmcdowell.org. And if you are a student ages 16-23 you absolutely must attend Summit Ministries. 4. Share your findings with someone else. Share your findings with your pastor, youth pastor, teacher, parents, coach, neighbor, co-worker, or a friend. This is important because when you express your findings, it will help solidify understanding and conviction in your own life. Also, you have the opportunity to encourage someone else on his or her journey. 1 Thessalonians 5:11a says, “Therefore encourage one another and build one another up.” By sharing what you have learned, you can be a powerful source of encouragement for another believer.